The International Fall Festival is one of three international Festivals of Kadampa Buddhism founded by Venerable Geshe Kelsang Gyatso Rinpoche with the purpose of developing a worldwide community of spiritual practitioners dedicated to creating outer peace in the world through developing inner peace in their minds. 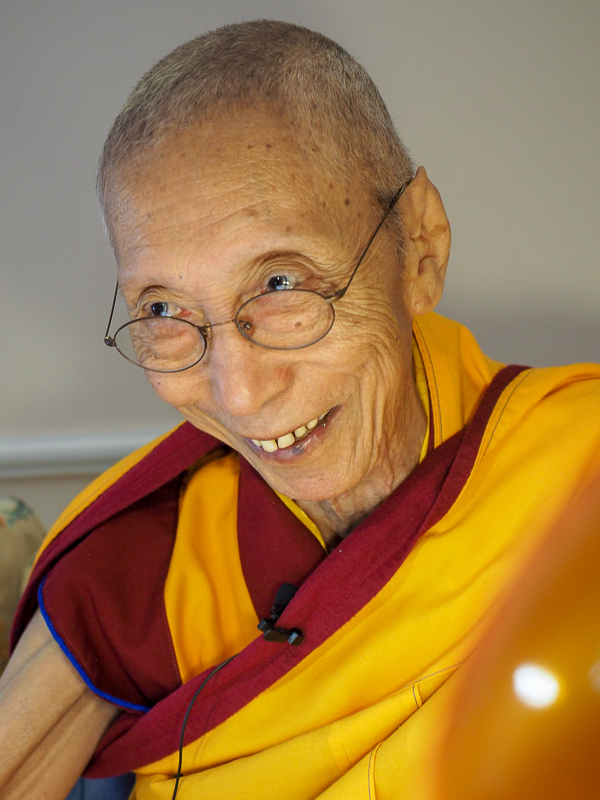 Venerable Geshe-la is a world-renowned meditation master who holds the very essence of Buddha’s teachings in his heart. He transmits this profound wisdom and compassion to the people of the modern world in very practical ways through the extremely accessible methods of modern Kadampa Buddhism. Since 1977, when he accepted an invitation to become Resident Teacher at Manjushri Centre in the UK, he has given thousands of teachings, composed twenty-three widely acclaimed books on Buddhism and meditation, established over 1,300 meditation centers, trained hundreds of qualified teachers and developed practical study and meditation programs to suit the needs of the modern world. In short, he has dedicated his life to laying the foundation for modern Kadampa Buddhism to flourish in this and future generations. Venerable Geshe-la is a truly international Teacher who presents Buddha’s teachings in ways that anyone, regardless of nationality, culture, gender or age, can easily understand their meaning and apply them to their modern daily life. It is Venerable Geshe-la's clear belief that people of these times can develop pure compassion and wisdom, make authentic spiritual progress, liberate themselves from suffering and eventually achieve full enlightenment. Today, many thousands of people around the world are experiencing the immense practical benefits of applying his life-transforming teachings. My dedication is to benefit the people of this modern world through spreading Kadam Dharma.